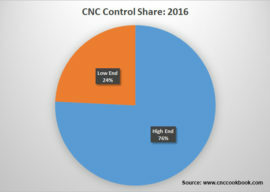 We last surveyed CNC Control market share back in 2012, so it’s been 4 years. We got over 250 survey responses, so let’s take a look at the results. 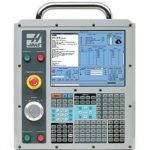 For those who are wondering, recall that the CNC Control is the hardware and software that takes g-code and uses it to control the CNC machine. 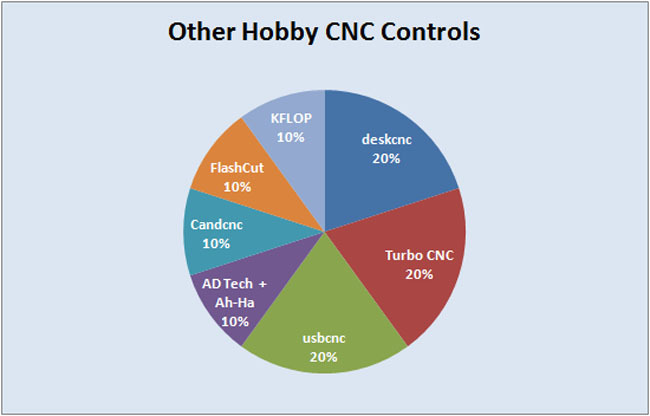 Back in 2012, I characterized these markets as “Pro” vs “Hobby”, but I’ve come to realize a lot of so-called “Hobby” CNC Machines are making their owners money. In some cases, substantial money. So, this time, I am calling them High End and Low End controls. 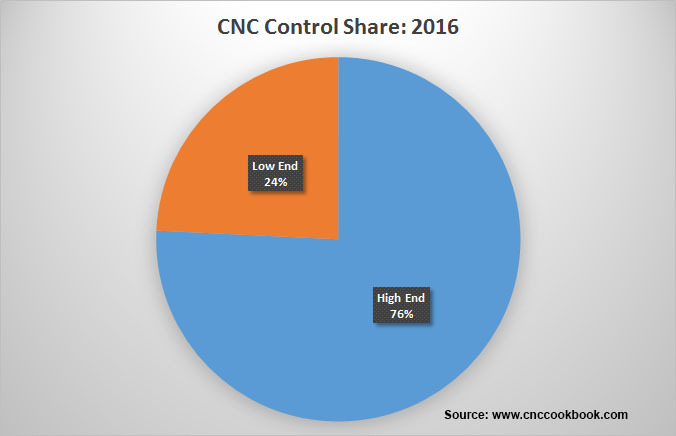 In 2012, 54% of respondents were on Low-End controls. The shift to High End reflects a shift in CNCCookbook readership as much as anything. 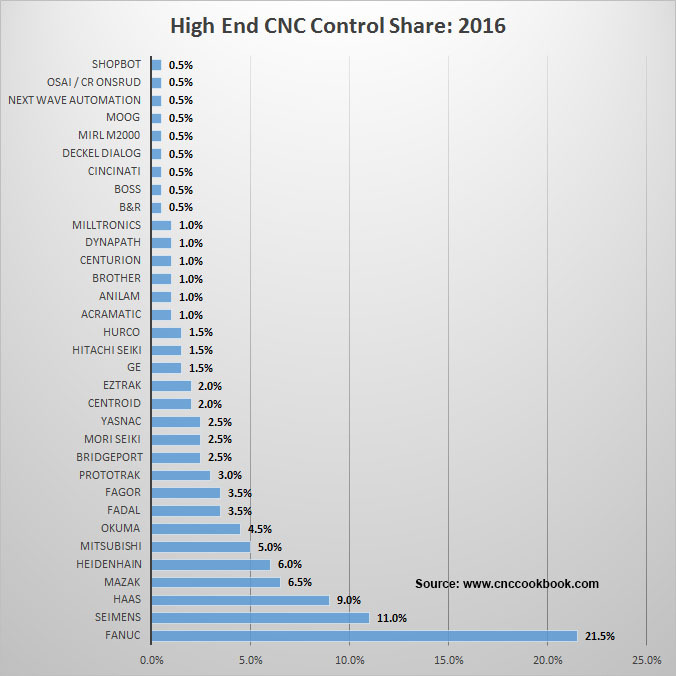 We still have a lot of hobbyists here, but we’ve attracted an even larger share of the higher end CNC market. There’s been some serious shifting going on! First, while Mach3 remains the leader, it has lost about 1/3 of its share–that’s quite a large dip. 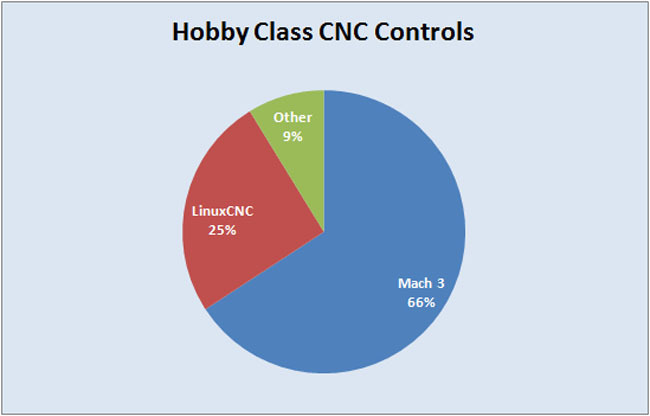 The LinuxCNC world is responsible for taking some of that share, having gone from 25% to not quite 30%. 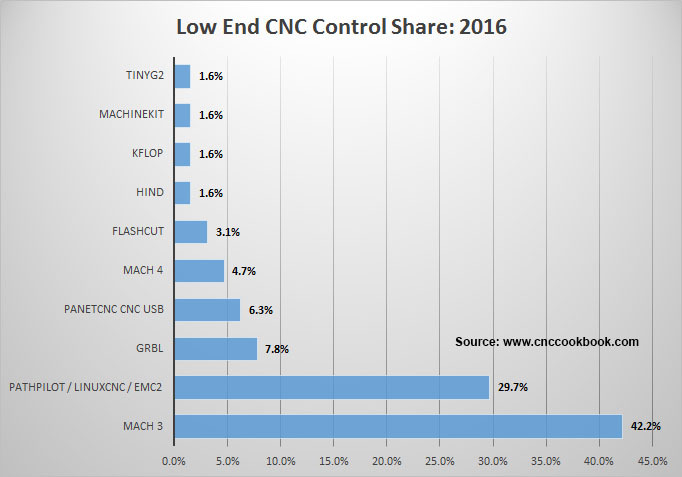 GRBL, CNC USB, Mach 4, and FlashCut have also taken bites out of Mach 3 and grown their shares. We can speculate on the cause of some of this. 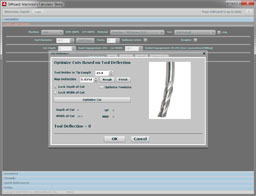 Certainly Tormach’s decision to switch from using Mach3 to PathPilot/LinuxCNC had a big impact. That’s been relatively recent, having happened last year. We don’t have any detail on exactly when these market share changes took place between 2012 and now, but if Tormach did play a role in such a short time it suggests further deterioration in Mach3’s share could be rapid. It’s also clear that the new controls that don’t require PC’s such as GRBL are taking share rapidly too. Mach4 also accounts for some share loss and to a degree, it mitigates the loss of Mach3 share. However, it’s pretty late to the game and doesn’t look to be growing all that rapidly. 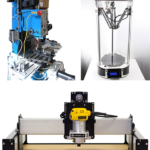 I also have to wonder if the advent of Low End Affordable CNC that is ready to go hasn’t really slowed down the DIY CNC market that Mach3 played so successfully in for years. 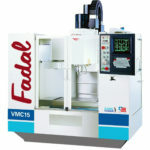 It’s gotten tough to save money building a CNC when already built machines and kits are available at such good prices. I will dig into some of the customer satisfaction results and other details of the survey next week, but for now we will leave the analysis at that. Fanuc was #1 both surveys, but went from 26% in 2012 to 21.5% in 2016. They’re losing a little share there. Haas was #2 with 14% share in 2012 but has fallen behind Siemens in 2016 who took 11% share this year. Clearly Haas is losing some share too, and Siemens more than double their share (it was just 5% in 2012). Heidenhain fell from #3 in 2012 (9% share) to #5 in 2016 (6% share). Mazak grew tremendously from a fraction of a % share in 2012 to the #4 position and 6.5% share in 2016. Mitsubishi is about the same in both surveys percentage wise–they grew from 4% to 5%. As for the rest, Centroid fell off from 4th place and 6% to 14th and 2% share. I have seen a lot of inexpensive Siemens controls on the market lately and wonder if they’re displacing Centroid in the retrofit market? Okuma is up quite a lot while Fadal and Fagor are basically unchanged. Hard to say. Some of it reflects real control share changes, some reflects growing popularity of machines that carry particular controls, and some is just not obvious. Next week, I will dig into the results on customer satisfaction for the different controls. There will also be a premium pdf report with all the results plus additional information on each control in terms of what users liked or disliked most about them. To get the premium report and make sure you don’t miss out on the future installments, be sure you’re on our weekly email newsletter. There’s no charge and you can sign up right below. You’ll get all our premium content for free plus a weekly email digest of all our new articles. 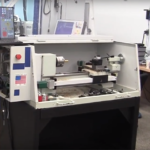 There are two types of machinist, those that think the Okuma control is the best and those who never have used one. Fanuc should be losing market share it just isn’t in the game anymore, the seem to be concentrating of their robots.